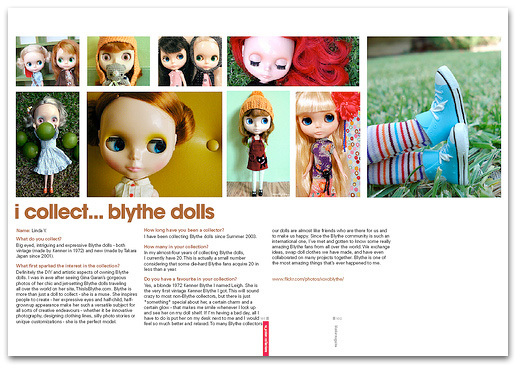 I did a little Q&A with Bec of Blanket Magazine for their Collections issue on Blythe dolls! Thanks Bec, it was fun! Craft:zine - Our Name in Lights! Melissa, Paul, Christina, Melisser and I (AKA the PuchiCollective team) were interviewed by Jenny/SewDarnCute for the April 2007 issue of Craft:zine! :) Thanks so much Jenny for the mention and for the wonderful article! 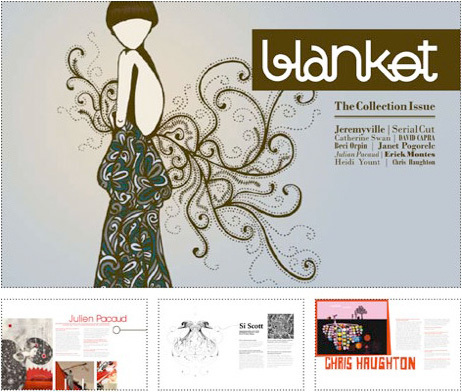 [ Note ] This back issue is no longer in print and can be purchased here. 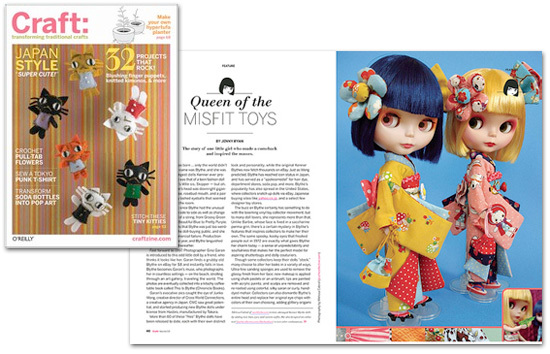 Blythe in the next issue of CRAFTzine! The folks at PuchiCollective - Melissa, Paul, Christina, Melisser and I - did a little Q&A with Jenny of Sew Darn Cute and Felt Club for the latest issue of CRAFT: magazine. The article is all about Blythe and how she inspires people to get into DIY and dive into many other creative endeavors!